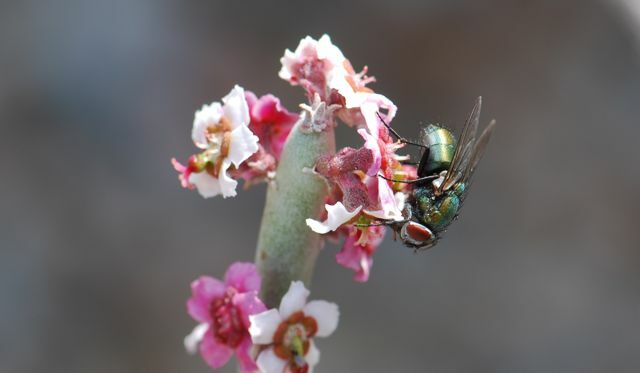 This shiny green fly feeds on nectar from flowers. The adult green bottle flies are actually visually interesting, perhaps even (dare I say it) attractive? No one would ever call green bottle fly offspring, the fly larvae or maggots, even remotely attractive. They serve an important function, however, because they clean up dead animals and excrement. Think about what the earth might be like if decomposers and scavengers like green bottle flies weren't around. Yuck! If you have a really strong stomach, I mean really really strong, you can go see maggots at work. Warning: not for the squeamish! This group of flies are commonly called blow flies. They belong to the family Calliphoridae. 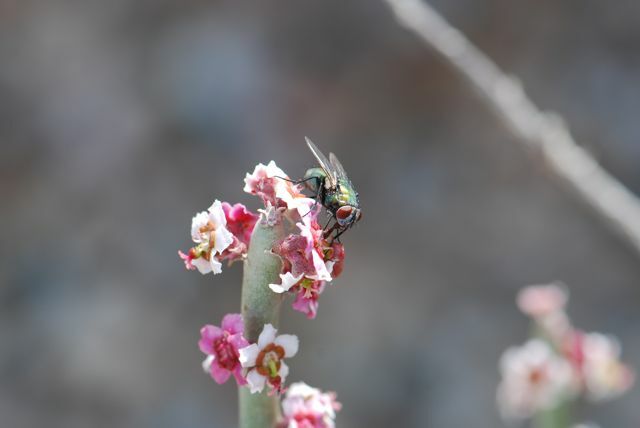 Have you seen any flies out yet where you live? 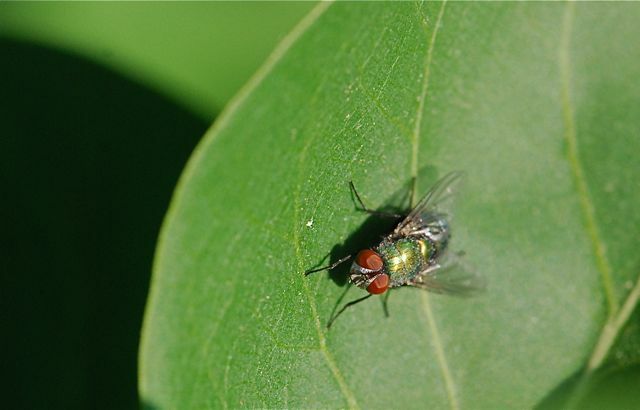 This shiny green fly is commonly called a blow fly. It is in the family Calliphoridae. Such a pretty fly, with not so pretty a lifestyle.